Modern JSON interface. propositions for ECMAScript 7. High level methods for manipulate JSON files. Backward compatibility with JSON Object in Node/Browser. Async support (callback/promise) based on ECMAScript proposal. 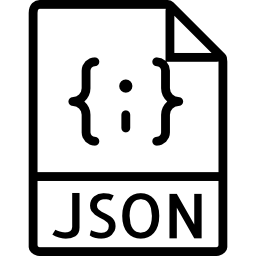 JSON Future is based into a set of cool libraries to handle JSON, but some of this libraries uses promises or callback style. This library adds an extra layer to call these libraries uniformly. In async methods, if you don't provide a callback for node style, then the method return a Promise. Creates the string version of the input. Creates the object version of the input. Indentation as a string or number of spaces. Pass in null for no formatting. Sort the keys recursively. Optionally pass in a compare function. Mode used when writing the file.